This pretty drink with layers of orange and pomegranate juice and grenadine is delicious on a hot day. 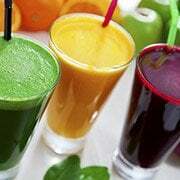 Rich vitamins and minerals will help fight aging. 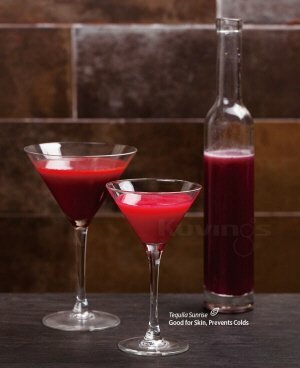 Pour grenadine down the side by flipping the bottle vertically quickly. The grenadine should go straight to the bottom and then rise up slowly through the drink. Garnish with an orange.